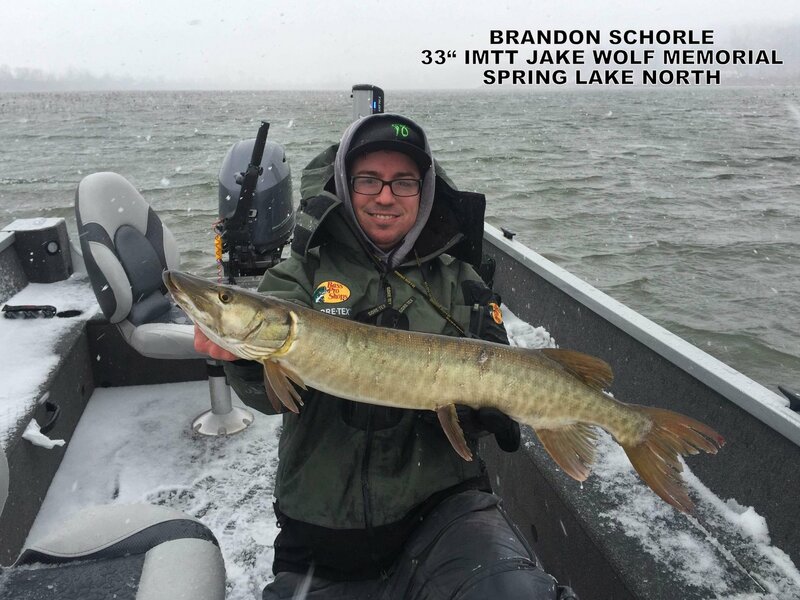 5 fish were caught during a winter storm at Spring Lake North. 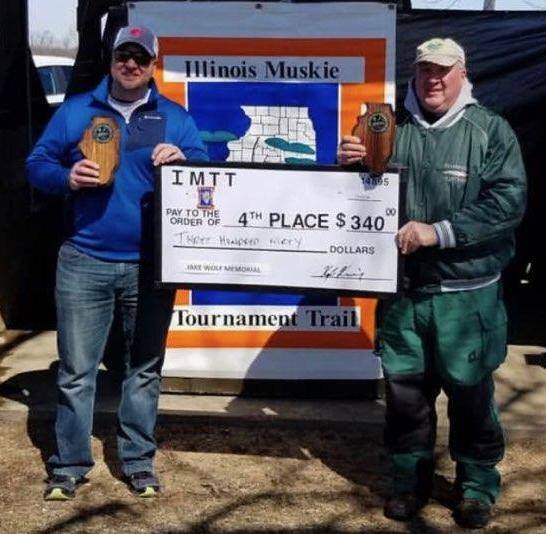 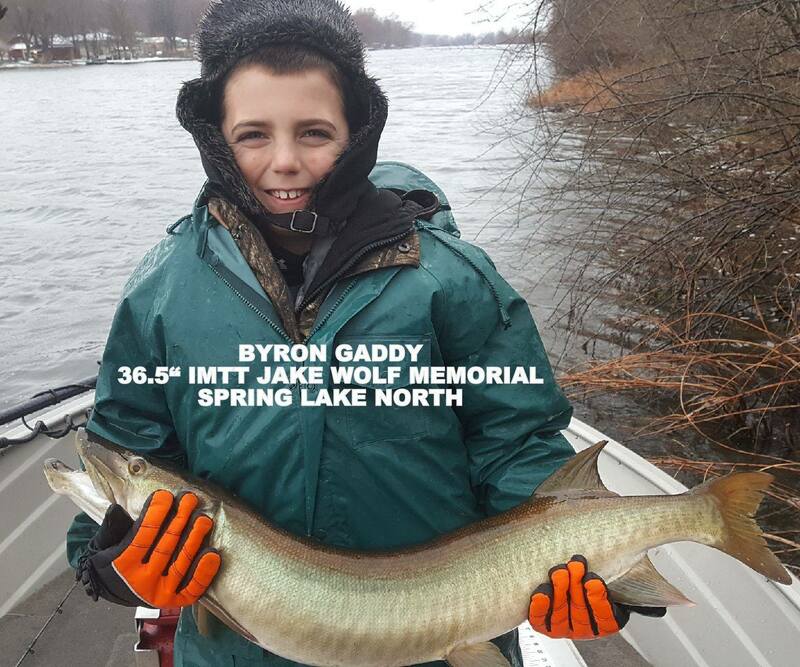 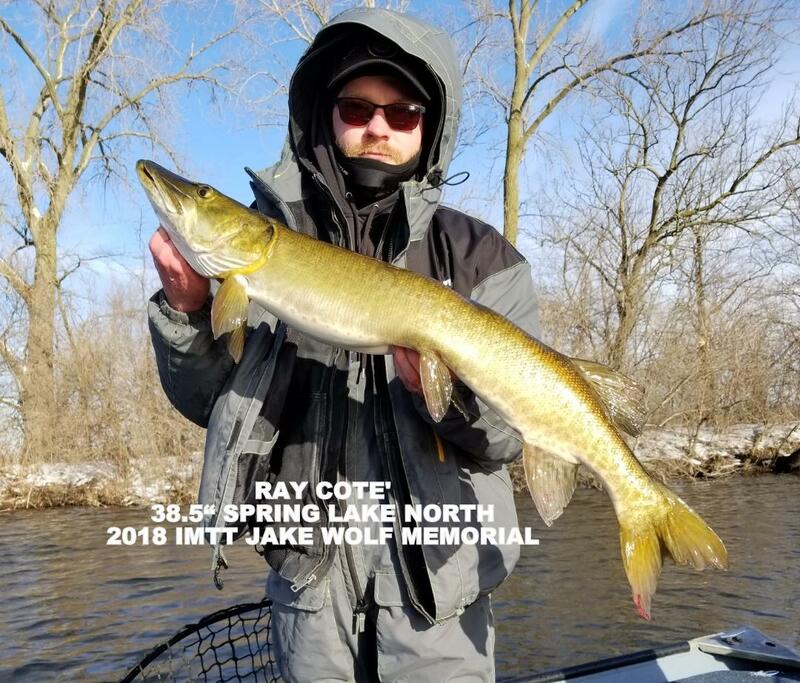 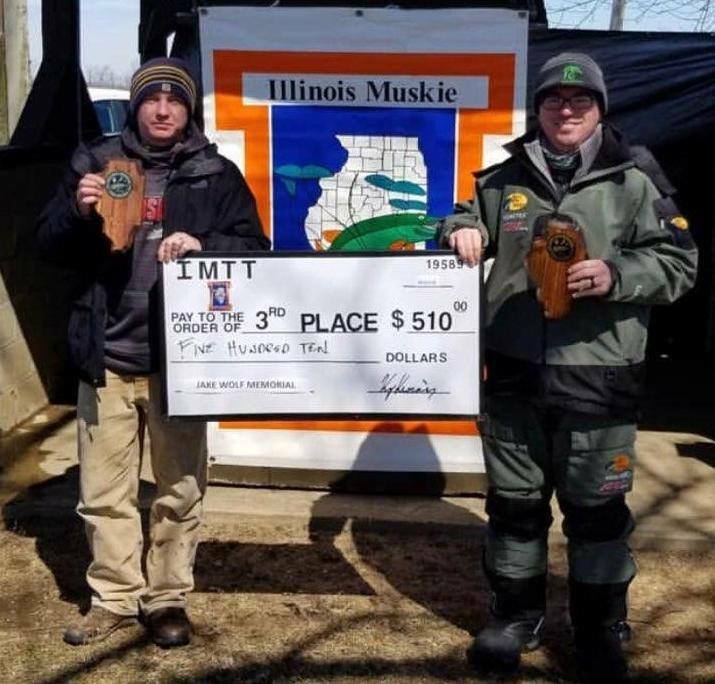 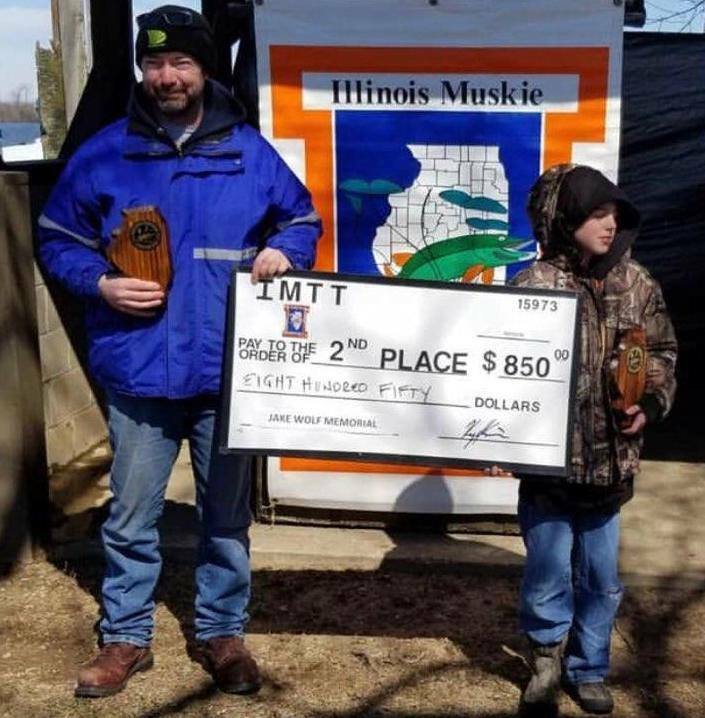 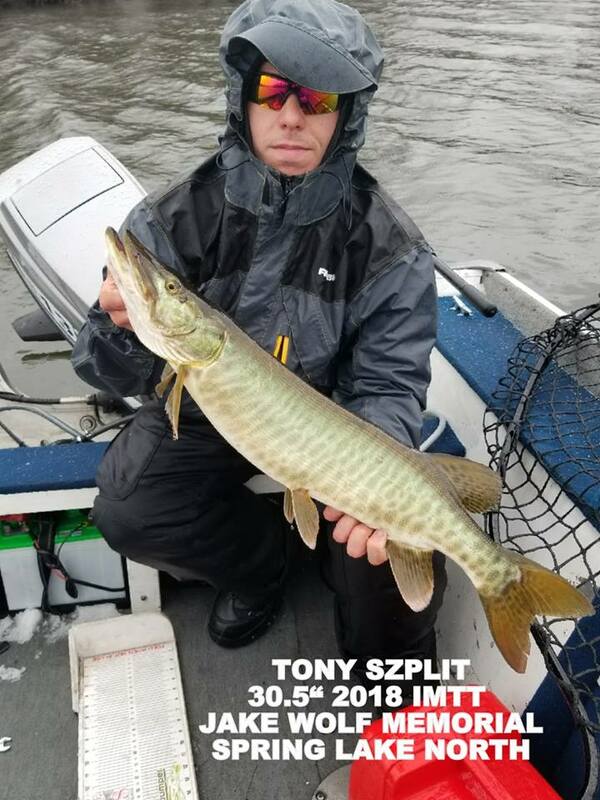 18 teams consisting of 34 entrants from IL, IN, MO, WI, MN and AZ braved the 25 – 30 mph ENE winds with rain, snow and sleet to chase Muskies at the 2018 IMTT Jake Wolf Memorial Tournament last weekend. 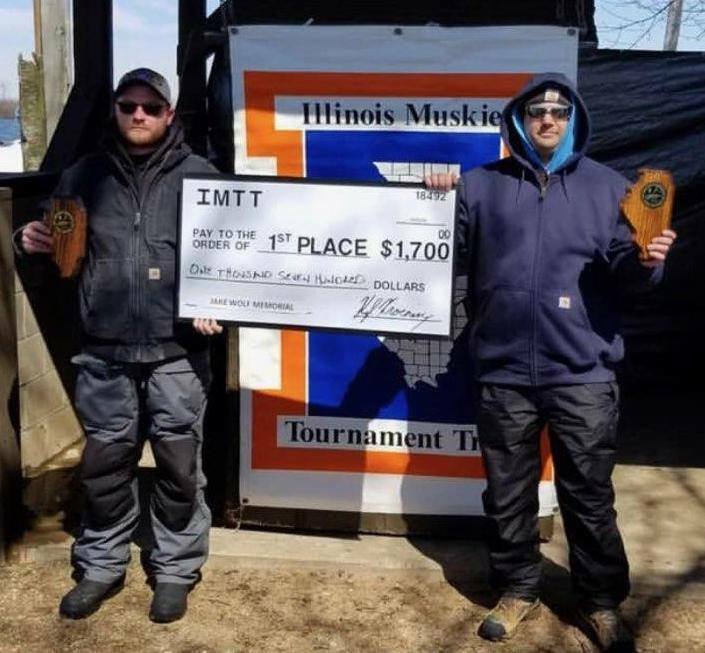 The IMTT thanks its tournament entrants who donated 900 nonperishable food items weighing over 400# to the Midwest Food Bank of Peoria.